Welcome to the Severed Genesis Campaign Setting! Envision a land that has been forever scarred by the destruction of the past and revel in the mysteries of the future. 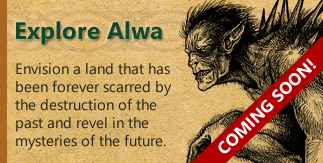 Imagine a world filled with depth and intrigue and one where mythical beasts and the gods themselves walk the world of Alwa. Picture a landscape that has been ravaged by the power of the selfish kings and diabolical villains. Tread carefully as horrific creatures stalk the outskirts of civilization and dangerous dungeons lay abandoned with their lost treasures ripe for the taking. Each and every day is an opportunity… an opportunity for glory, riches and adventure. 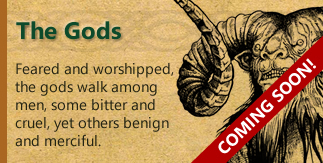 The Severed Genesis Campaign Setting is a world that is ripe with political machinations and glorious adventures, where myths become reality and legends never die. Join us as we begin our epic journey and keep watching our website for updates. 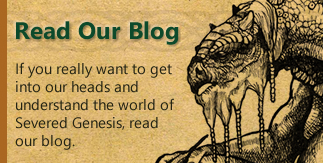 Read through our most recent blog articles to keep up-to-date on all the latest happenings with the Severed Genesis Campaign Setting. Comment and provide input to the writers as we craft this epic campaign setting!